Sugar Land scouts — we’ve got great news! There are still spots left in two classes that have sold out at HMNS’ main campus: Citizenship and The Environment both have space during the weeks of June 11 and July 23. Citizenship teaches scouts how historic events, people and places have shaped our nation. Participants will take a virtual tour of the Lincoln Memorial and learn the history of the former prison building that now houses HMNS Sugar Land. Kids will watch five of the greatest speeches in American history and place them in context with current events, discuss the international diplomacy and learn about governments around the world. The Environment allows participants to study air, land, water and life and how humans impact all of it. 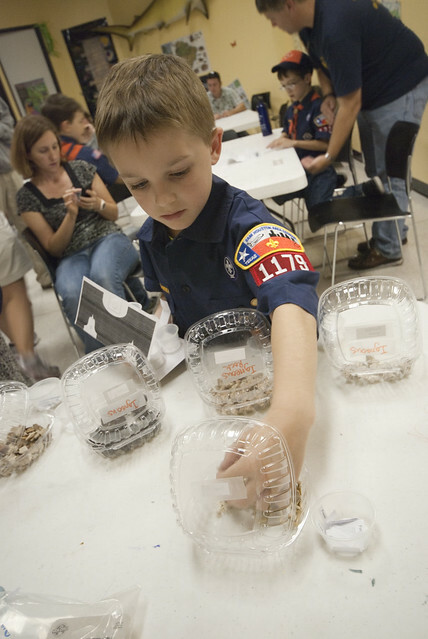 Scouts will conduct experiments that investigate oil spill cleanups, animal adaptation and learn about resources for environmentally-friendly consumption. Both classes earn Eagle-required badges — two in Citizenship and one in Environment, so enroll today! 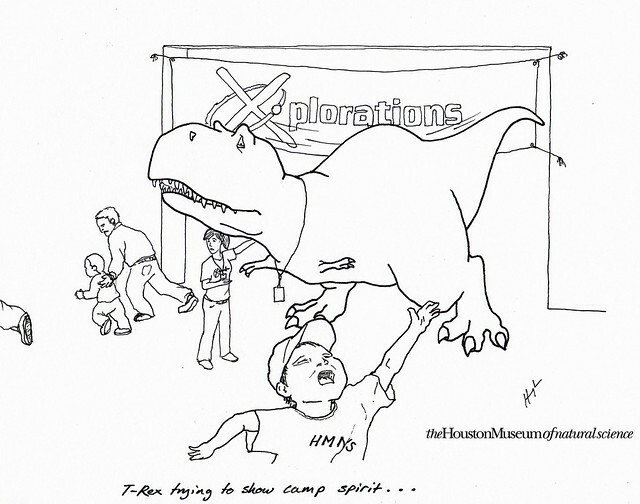 In honor of our spectacular summer programs, we’ll leave you with this: The last installment of our T-Rex Trying for HMNS series!